A Christian based company that focuses on excellence, customer satisfaction, professionalism, and trust. We strive to make your moving experience the best and to always beat our competitors prices. 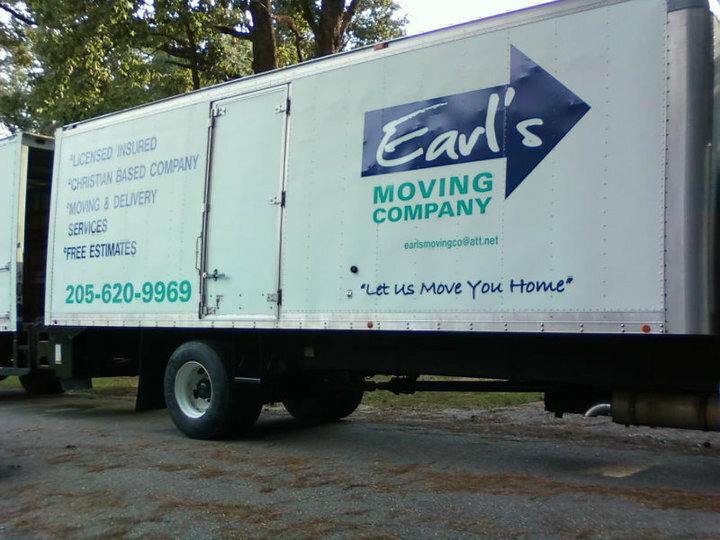 Earl’s Moving Company was founded by Earl Pike in 2008. Earl grew up in Alabaster, AL, graduated from Thompson High School and the University of Montevallo. Earl worked in the moving business for over 10 years prior to opening his moving company. Earl’s Moving Company is a Christian-based company and we know that moving can often be stressful for your family and we strive to make it an easy process and a fun transition. Our employees are dedicated and have a great work ethic. We all have families and it is our goal to treat your family as our own. We hope the next time you or anyone you might know needs moving services that you will keep us in mind.